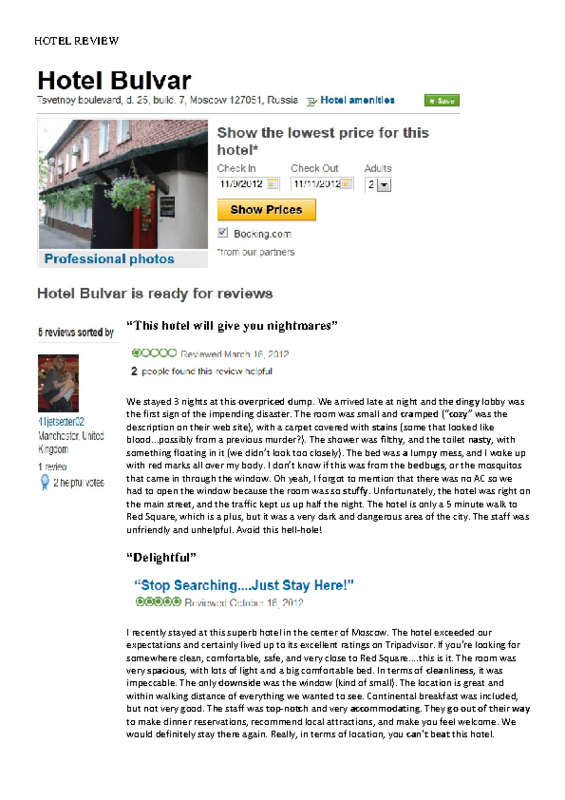 Two-page worksheet includes two hotel reviews (one positive, one negative) with typical vocabulary found on web sites like Tripadvisor.com. The second page has discussion questions about hotels designed to stimulate conversation. This activity works very well.